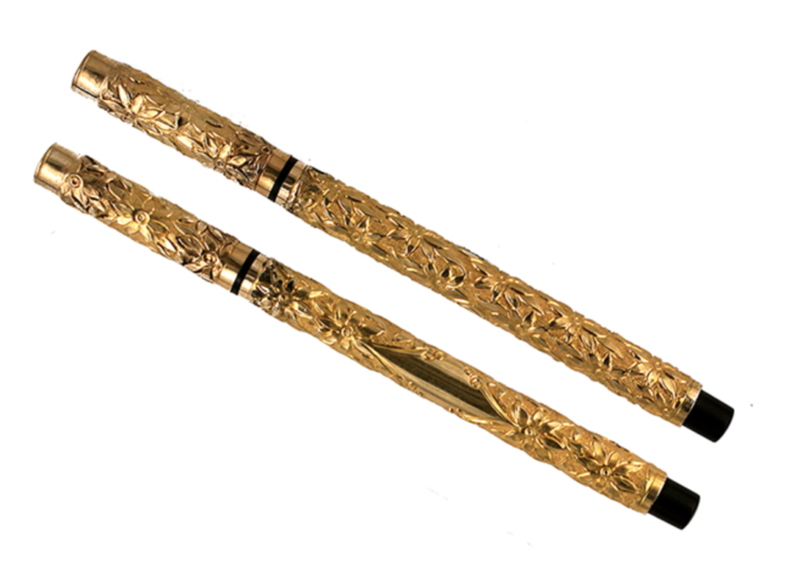 The gold color seems to be wearing off the ring on the cap of my vintage pen. Can I polish it to bring it back? This is called brassing. It’s not tarnished but is actually the gold plating wearing off, as you notice, and showing the brass underneath. It cannot really be fixed easily unless you want to have the part replaced or restored by a professional. 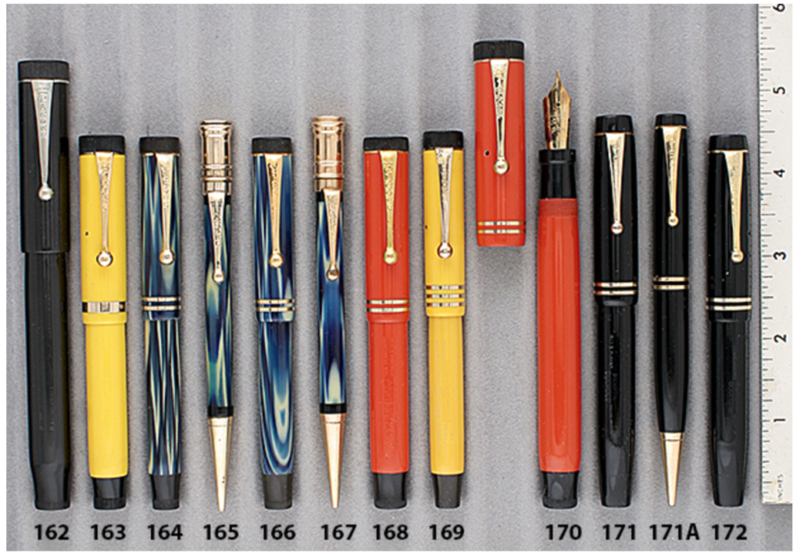 How did my vintage pen get clogged?? 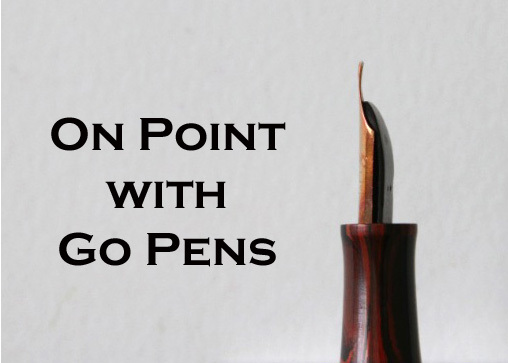 A pen’s feed can get clogged either by using the wrong type of ink (such as India ink, where the particles clog the channels) or by not cleaning your fountain pen and letting the (fountain pen) ink dry out. A good cleaning is the best next step! Is there any way to fix a watered down vintage black rubber pen? It’s an old one from a garage sale. 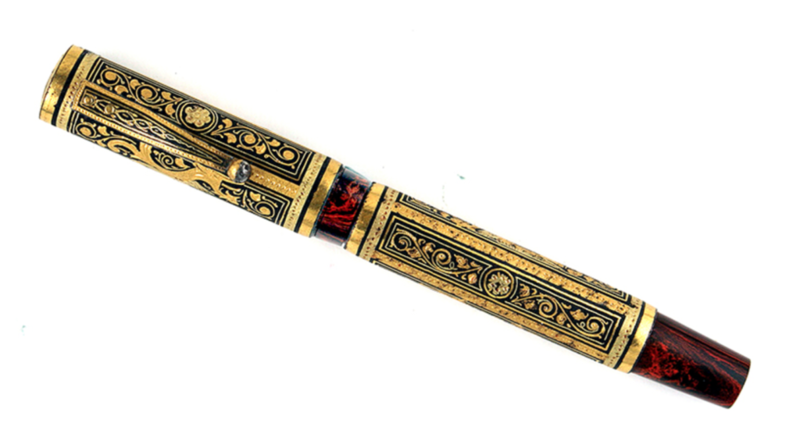 Fountain pen restorers can fix the pen up for you but if the black hard rubber is faded and whitened by light and/or water exposure, but there are treatments that can darken the material. 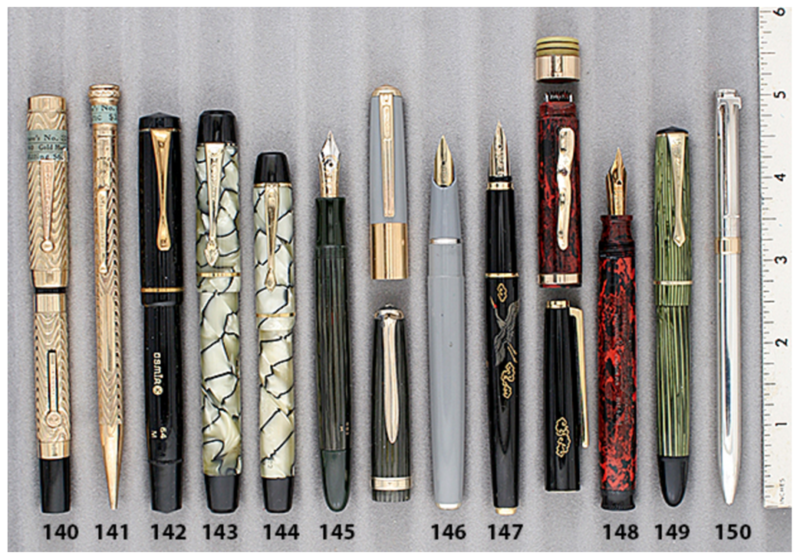 Whether you truly want to alter your fountain pen this way is up to you.